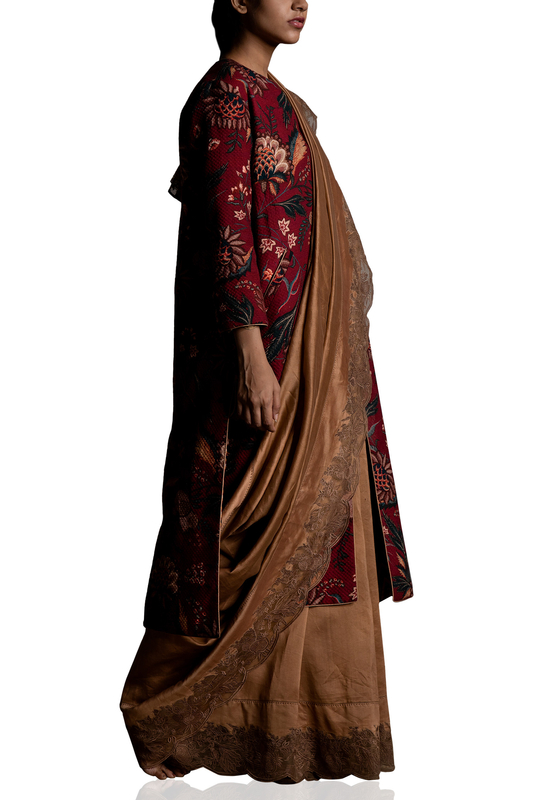 Burgundy scallop sari designed by Torani at AASHNI+CO. 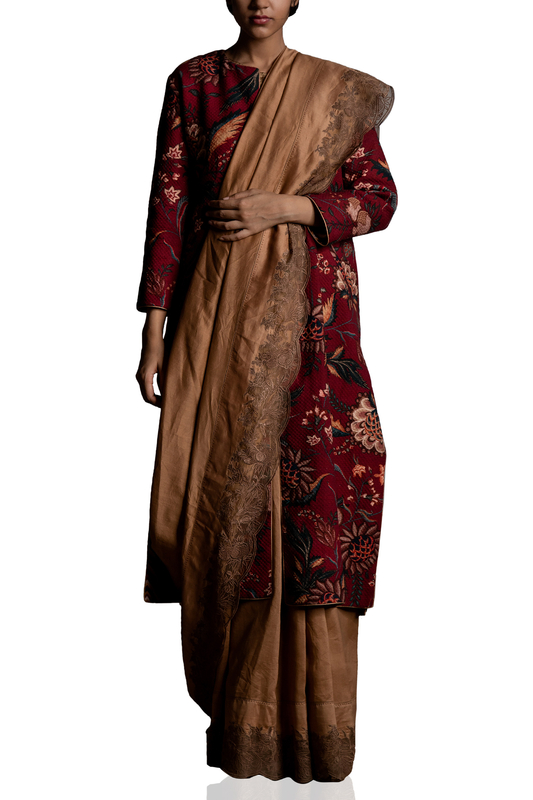 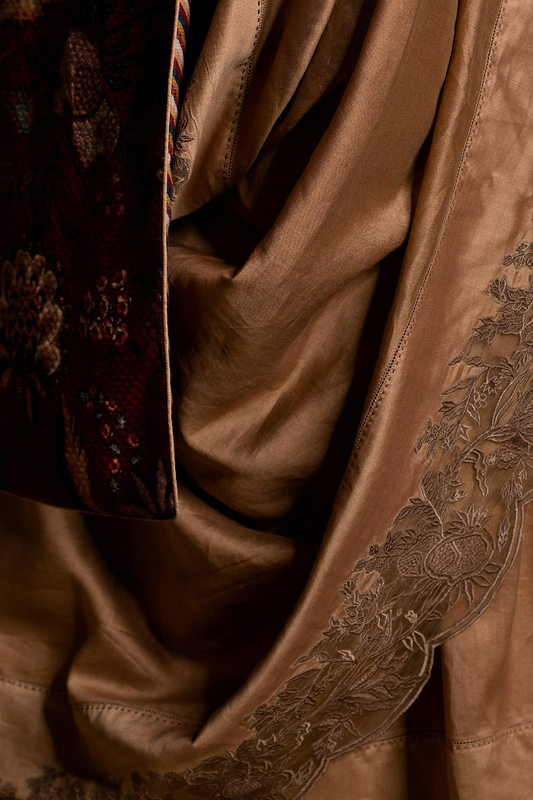 Torani wraps you in statement-making ethnic ensembles featuring a burgundy embroidered sari in chanderi. 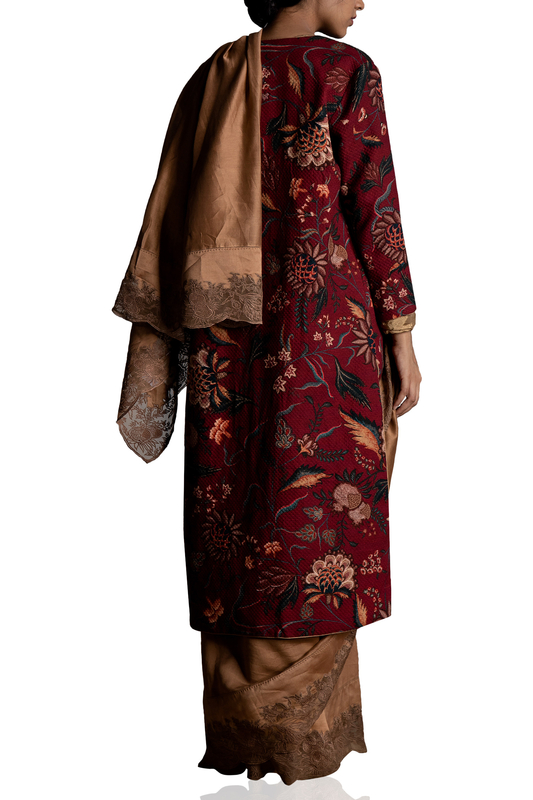 Style the look with mother on pearl studs and embroidered kolhapuris.